Waterfall Info: From the bottom, this is the second waterfall on Davis Creek (immediately above the monster Dukes Creek Falls). It's accessed independently from Dukes Creek Falls. 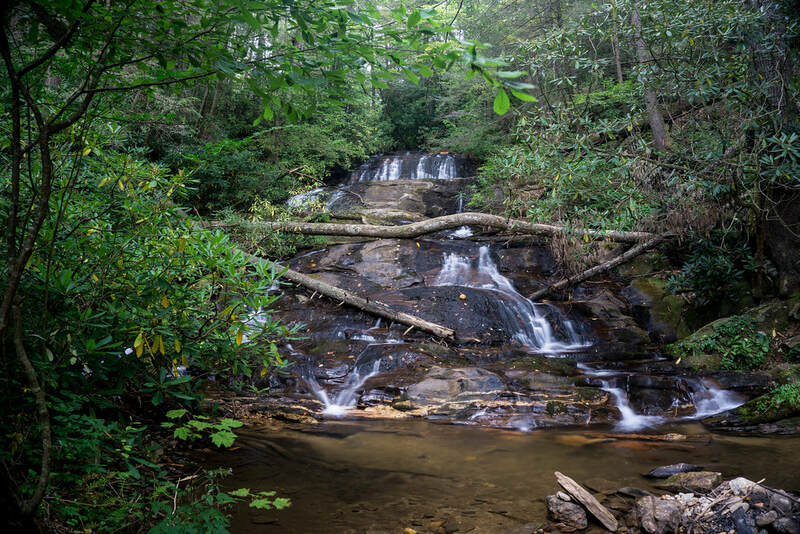 Access Info: A short, easy path leads from FS 244 to Middle Davis Creek Falls and the top of Dukes Creek Falls.